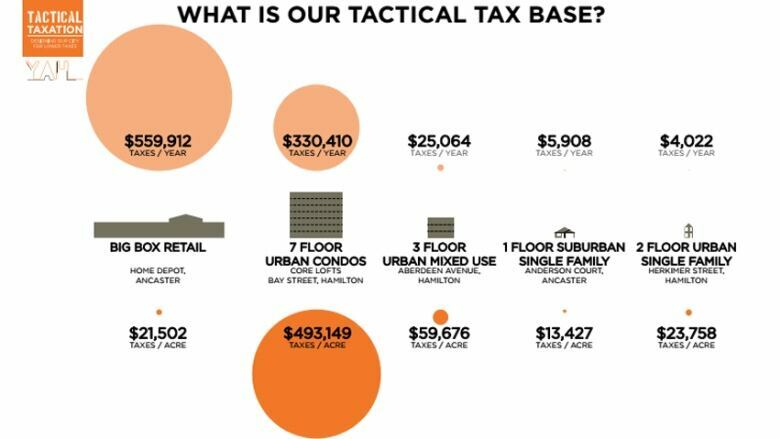 It’s a concept called tactical taxation — the notion that a home in inner Hamilton generates more taxes, comparatively, than a big-box Home Depot in Ancaster. And local young architects want city council to keep it in mind. This graphic shows how condos generate the most taxes per acre for Hamilton, followed by an acre of single-family homes. Tactical taxation results from the work of urban planner and architect Joe Minicozzi. Following Minicozzi’s concept, when you factor in servicing and density, an acre of tightly packed urban homes add more to city coffers than a suburban big box store on the same sized lot. Tactical taxation is the subject of a Hamilton/Burlington Society of Architects event tonight, where Minicozzi is a guest speaker. After his talk, potential mayoral candidates will share their thoughts on a panel. “We want them to look at it from different angles than they did before,” said Kyle Slote, head of the new Young Architects Hamilton group. City policies tend to favour building out rather than up, when from a financial perspective, density is better, he said. The Home Depot in Ancaster pays $559,912 in taxes per year, or $21,502 per acre. The Core Urban lofts on Bay Street, which is seven floors of urban condos, generates $330,410 per year, which works out to $493,149 per acre. A two-floor single-family home on Herkimer Street generates $4,022 in taxes per year, equal to $23,758 per acre. When you factor in the cost of servicing a broader area with costs such as water, sewer and policing, it increases the value of density versus sprawl, Slote said. Hamilton has recent examples of building out instead of up. On April 23, city council approved the Fruitland-Winona Secondary Plan, which will see add about 15,000 residents in the area over the next 20 years. The city is also moving ahead with the Airport Employment Growth District, also known as the aerotropolis, which is the largest urban boundary expansion in Hamilton’s history. Hamilton already struggles with infrastructure costs, said Graham McNally, treasurer of the Hamilton/Burlington Society and chair of Architecture Week 2014 in Hamilton. The city’s infrastructure spending currently amounts to $1,668 per year per homeowner. 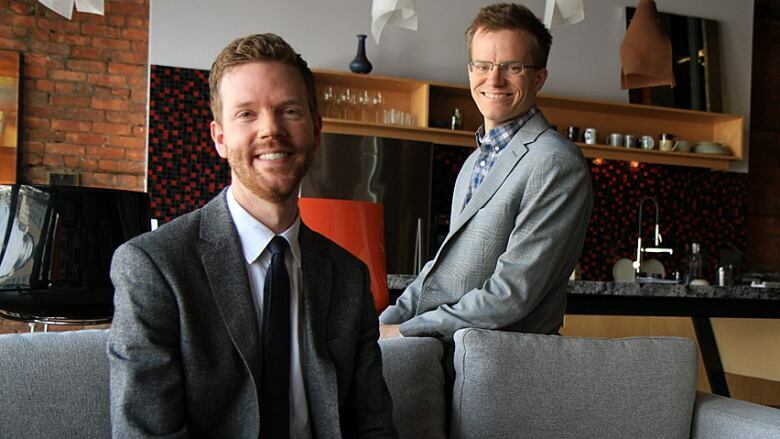 While people in Hamilton’s suburbs might not see the connection to the health of downtown and their tax dollars, this shows that one exists, McNally said. Mayoral candidates Michael Baldasaro, Brad Clark, Fred Eisenberger, Crystal Lavigne and Brian McHattie will participate at tonight's event. Clark, a current Stoney Creek councillor, is also chair of the development charges review subcommittee. “It’ll be interesting to hear the discussion and how quickly they would expect changes to the system,” he said. The event is free and runs from 7 to 9 p.m. at the Zoetic Theatre at 526 Concession St. Everyone is welcome.